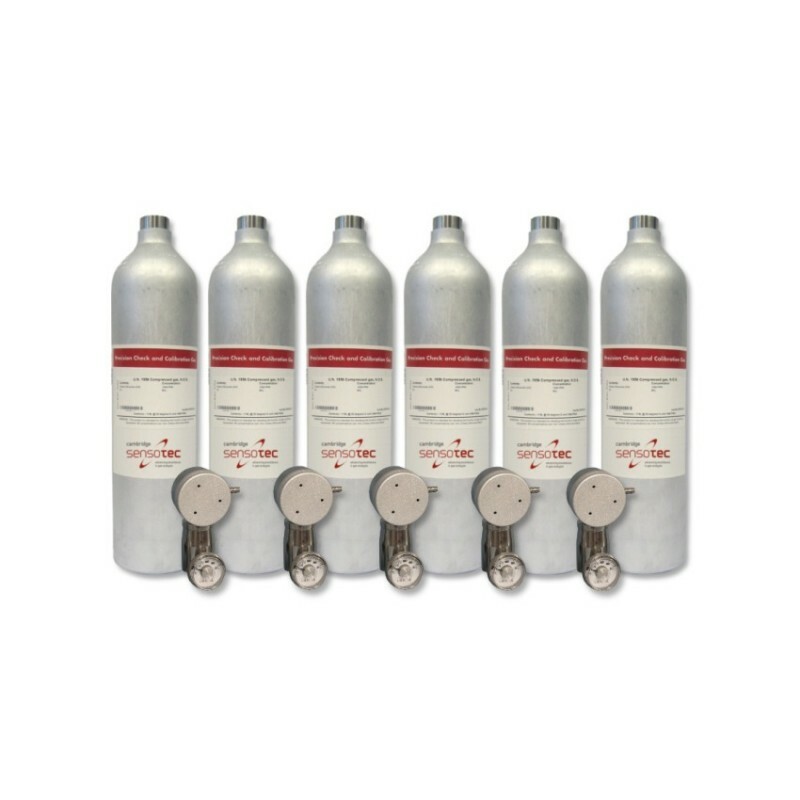 Produced by Air Products on behalf of Cambridge Sensotec, these calibration gases are designed specifically for the calibration and bump testing of single and multigas analysers. Available in a wide range of gas mixtures, with the option of multigas mixtures (O2-LEL-H2S-CO), these non-refillable calibration cylinders are lightweight, compact and disposable. 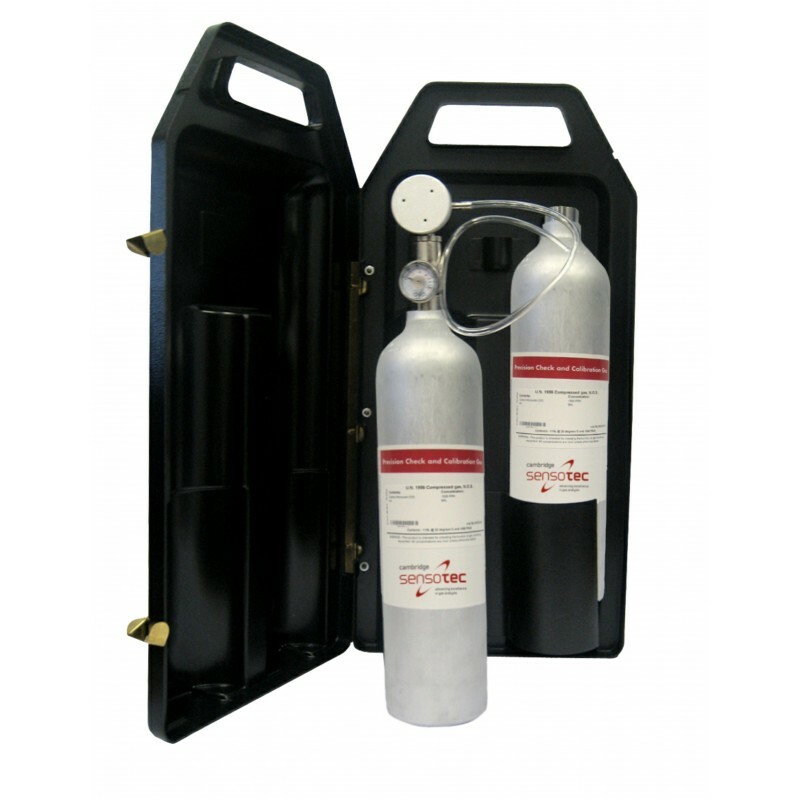 Supplied in a smart carry case with two canisters of calibration gas (gases depend on the exact analyser configuration), this is a convenient way of quickly checking and calibrating your Rapidox gas analysers or gas detection instruments. Each canister is filled with 112 litres of calibration gas giving approximately 220 minutes of gas flow. Calibration kits are supplied with either a fixed flow regulator (for analysers without sample pumps) or a special demand flow regulator (for analysers with sample pumps). All gas cylinders are fully compliant with the latest standards and legislation, and independent gas analysis certificates are supplied for each gas bottle. Cambridge Sensotec also supplies a full range of gas regulator valves, demand flow regulators and carry cases. Optional independent calibration certificates for gas cylinders are available at a small additional cost.